A talk by Associate Professor of History at Brown University, Dr. Faiz Ahmed on his book, Afghanistan Rising: Islamic Law and Statecraft between the Ottoman and British Empires. August 19, 2019 marks the 100th anniversary of Afghanistans independence from Britain. Commemorating the roots and legacies of that watershed event, Faiz Ahmed presents a vibrant account of the first Muslim-majority country to form a fully sovereign government, ratify a constitution, and promulgate an original body of national laws after the fall of the Ottoman Empire. Debunking conventional narratives of Afghanistan as a perennial war zone and remote frontier, Afghanistan Rising rediscovers a time when Kabul stood proudly as a center of constitutional politics and contested visions of reform in the greater Islamicate world. Tracing Afghans longstanding but often ignored scholastic ties to Baghdad, Damascus, and Istanbul as well as greater Delhi and Lahore, Ahmed vividly describes how the court of Kabul attracted Muslim jurists and diplomats eager to craft a sovereign state within the interpretive traditions of Islamic law and ethics, or shariʿa, and international norms of legality. 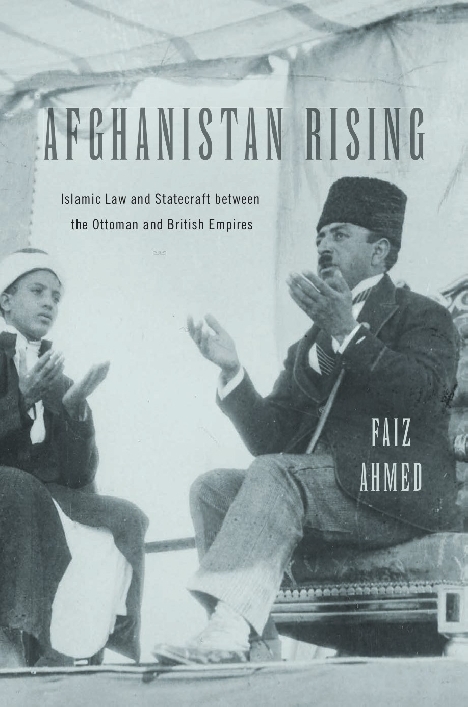 Afghanistan Rising offers a rich narrative focusing on encounters between diverse streams of modern Muslim thought and politics at the turn of the twentieth centuryfrom Young Turk lawyers to Pashtun clerics; Ottoman Arab officers to British Raj bureaucrats; and the last caliphs to an extraordinary dynasty of Afghan kings and queens. By unearthing a lost history behind Afghanistans independence and founding national charter, Ahmed shows how debates today on Islam, governance, and the rule of law have deep roots in a beleaguered land. Faiz Ahmed is Associate Professor of History at Brown University. Trained as a lawyer and social historian, he specializes in legal and constitutional history in the late Ottoman Empire, modern Middle East, and Islamicate South Asia.